The first year of the War to End All Wars, was shockingly brutal for all sides. The accepted rules of combat from the previous century were shredded by technology: the machine gun, the tank, mobile cannon. Gas attacks, which helped birthed the Geneva Convention had yet to be committed. 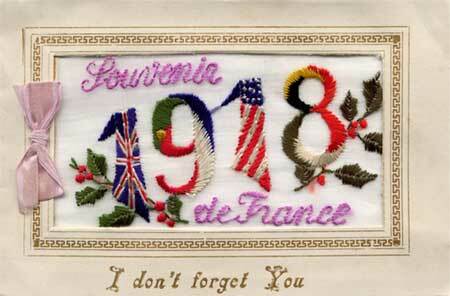 On Christmas day, 1914, Germans and English, at various places along the front, stopped fighting. They came out first to bury their dead in shared prayers, then went on to talk (most Germans knew some English), trade tobacco, pipes, buttons and other momentos, and sing and even pray together. German barbers even shaved English troops during the ten day truce. Even after the truce was expired, some troops on both sides tried not to kill their erstwhile trenchmates. This was the last global conflict of the nation-states. By World War II, the conflict had shifted from pure national supremacy back to the US’ Civil War: industrial and financial dominance and national fascism1. Our enemy bears no resemblance to our German foes, now turned full partners in democracy and cold, international industrial might. They don’t share our values of war, of life (theirs, their constituents, or their enemies), aims, goals. We have nothing they want, other than our subjugation or extinction. They have things we want, and have raped them for decades to get, and we Western nations are now reaping this bountiful crop. This “war on terror” is truly the Jihad and Crusade, terms villified by both sides for its loaded terms. The emperor has no clothes. The fanatics backing terror will not come out of their trenches to sing Kumbaya on an emotional basis. And if they do, beware the blades behind their backs and bombs strapped to their torsos. There are some similarities. Innocent civilians are caught in the middle. Cynical military leaders use ‘martyrs’ on one side, and socioeconomically hungry citizens on the other to do their bidding2. And the grinding war itself has little point, cannot be resolved by force, and seems to be intermidable. World War I ground to a halt in part due to the Allies finally strangling the Axis powers’ industrial might: oil, machinery and humans. It ended also in large part due to the influenza pandemic that was slaughtering close-quartered troops at a rate far in excess of any human cannons or machine guns. Europe suffered from demographic cratering. Due to the sheer devestation and the magnitude of this high-impact war, the societies were able to rebuild — only to lash out less two decades later in nationalistic angers partly fueled by the nature of the initial defeat. This low-impact, slow-motion war gives both sides endless opportunities to rearm, learn from their tactical mistakes, and, at least on the terrorist side, fill in the gaps in their ranks with new martyrs, disempowered, emasculated virgins in this world looking to make their first score with their counterparts in the next. The question is: is the West willing to really fight for victory, or keep the sniping up? Economically, international corporate-nations with ties to all sides of the conflict are profiting by the tens of billions; it’s not in their interest to fight this war to conclusion. Why rebuild a school once if you can rebuild it three times? If the current infrastructure destruction in Iraq continues, it will be importing gasoline like some other major oil producers, a clear added bonus for these “reconstruction firms.” This is the ugly military-industrial complex of which President Eisenhower warned. Politicians have loved the war until recently: fear sells votes. The turnover in the US House and Senate were as much about absolute corruption as the Iraq War. War is great for a country’s economy: the huge post-WW II boom was fueled by the technologies and capacities built up during the war3. I’ve heard many Americans cut the Gorgian knot and point to the obvious solution: Do not to abide by Western rules of conduct; instead follow that of the enemy. Attack with full strength, quickly cause maximum, lasting damage, and ensure that whatever population is left rebuilds by our rules, not theirs. That might have worked in Iraq at the start of this war. Now, it would resemble a sore loser tossing a board game into the air, scattering the pieces, when play does not go his way. There is something to be said, however, for overwhelming, drop-that-20,000-ton-bomb- and-then-invade-with-200,000-soldiers force in small areas. If the United States is to be taken seriously, it will need to be serious, pervasive force, with specific objectives and a take-no-prisoners attitude. Right now the administration doesn’t have the guts to make that decision, and generals may not have the force strength to take that decision. Maybe some variant of the H5N1 flu will come to our aid. God forbid. Hitler’s rise to power was funded by industrialists who saw the money to be made in a war-oriented German economy. America didn’t want to get involved in the foreign war because it was not economically expedient. Like England until the Nazis got too close, it was seen as better to let the various powers fight their own war. Japan attacked the US in part because it was threatened by Washington’s oil (energy) sanctions — a turnabout on America’s oil policies of today. Even after joining, many US soldiers’ families rely on food stamps or other aid, as the pay, even with hazardous duty bonuses, is not sufficient to raise a family. Non-citizens join the US army in hopes of citizenship — which is granted posthumously in some cases. The difference today is in debt and trust. Whereas in WW II Americans were exhorted to save gasoline, grow their own vegetables and be more frugal, President Bush exhorts citizens to keep up their level of spending (debt) and consumption. That’s critical because we are not short so much of supplies as we are of the movement of money in our economy.